The founders of Grand Rapids social app Yote share details on projects including artificial intelligence pairing, an opening cafe lounge, and more. Yote founders Anthony and Matthew. The Yote Lab cafe lounge is located on 333 Grandville Ave Southwest. Founders Matthew and Anthony are usually around, and are happy to chat with anyone who drops in or answer any questions about the app. 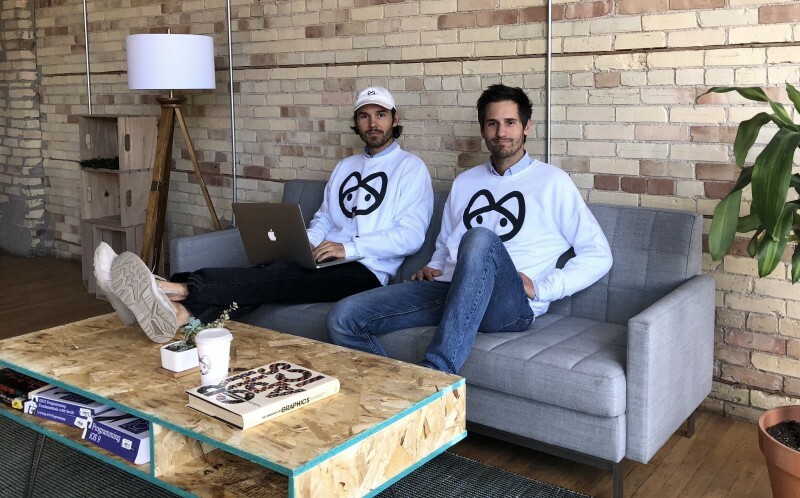 The founders of Grand Rapids social app Yote seek to not only bring more technology companies to GR following their new artificial intelligence, but they also have another vision in mind. They see loneliness as a widespread force of unhappiness that is detrimental to society, and they’re trying to use Yote to change that. Anthony Warner, 33, and Matthew Warner, 34, are two brothers creating an AI algorithm that matches a user, for whatever type of interaction they desire, with someone based on locations they travel to, along with more nuanced cues. Rather than relying on screen time, Yote is an app designed to put your phone down. “It’s for anyone who’s ever wanted to talk to someone but felt they didn’t have the opportunity,” said Anthony Warner. Posting a broadcast is an open-ended declaration that could be an invite or simply saying how you’re feeling. Rather than the pressure of asking a single person, one could broadcast “Does anyone want to go to the movies?” There is also the option to drop an emoji on the Yote map, a sort of virtual graffiti, to signal what you’re up to, and the map can work as a sort of heat map on weekends, giving the ability to see which bars and parts of towns are popular that night. They want to bring back elementary culture, where friendships were made freely, without judgement or apprehension, and every person holds a potential positive encounter. Yote isn’t just for people who are lonely. Some want a workout buddy, some want someone who shares the love of their favorite show or networking connections. “It’s cool that a project we’ve spent so much time on, that we’ve created for the world, when people use it and use it well, that’s an amazing feeling,” Anthony Warner said. The concept of creating an app had been something the two talked about for nearly ten years, but one day during a car ride, they decided to make it a reality. There were numerous iterations over a few years, with hours of discussion each day about the psychological and sociological factors involved. Anthony utilizes his background in psychology, and has self-taught the entire coding of the app. The brothers both graduated from MSU with a background knowledge of technology. Matthew was in the field of engineering, and Anthony started coding while attending James Franco’s acting school for film. He pitched the notion of Yote to James in casual conversation, so shot in the dark: James Franco might be on Yote. The brothers say the best thing about the business is they’re excited to come into work and being personable with people. They’ll hang out with people from the app and even buy them drinks. Merchandise has become a business of its own, much to their surprise and amusement. The white coyote pup logo is plastered across hats, hoodies, stickers, and even gum. The pup is an emblem of Yote, aptly named after the coyote’s social patterns the app follows. They had a coyote-dog crossbreed growing up, and believe people need to learn the value and strength of finding their pack. 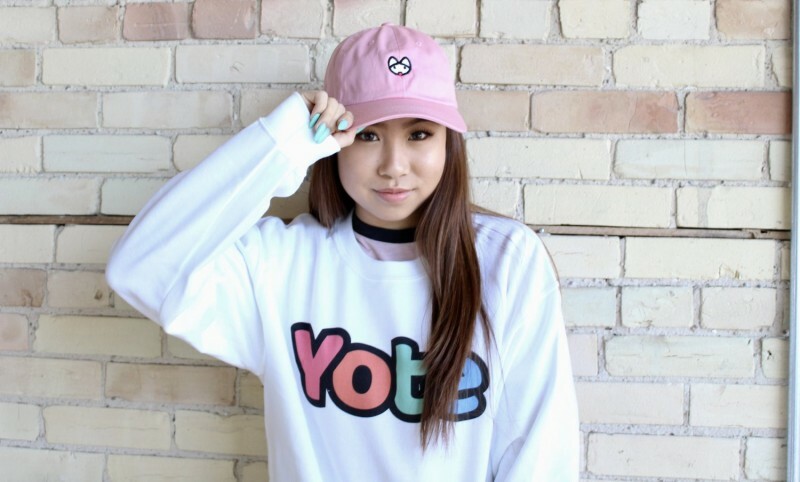 Charmed by the cute logo, Yote is becoming big in Japan and receives a few hundred downloads a day. Other hotspots for the app include China, Canada, France, England, and several other European countries, as it reaches an international scale. While they do plan on expansion, they want to keep one foot in the door and make a name for Grand Rapids as the birthplace of Yote. In the works is a facial recognition software that operates by pointing your phone at someone, and the system shows a thought bubble above their head displaying the current broadcast from their Yote profile. The eight defaults settings for the type of interactions users seek have a designated color, and they have a plan to offer wristbands of each color to wear in public settings so that people can know how they should approach someone. Also currently being designed is an augmented reality 3D coyote that will do things for users on the app, merged into real-life settings. 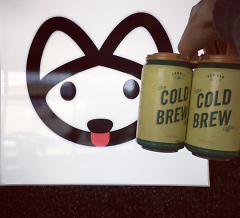 They’ve just recently opened a café in partnership with Ferris Coffee & Nut, Grand Rapid’s largest coffee supplier, downtown on Grandville Ave Southwest, to create a central spot where locals can come to hang out and meet people. With these new developments in technology, it’s exciting to see the future that businesses of Grand Rapids are shaping.